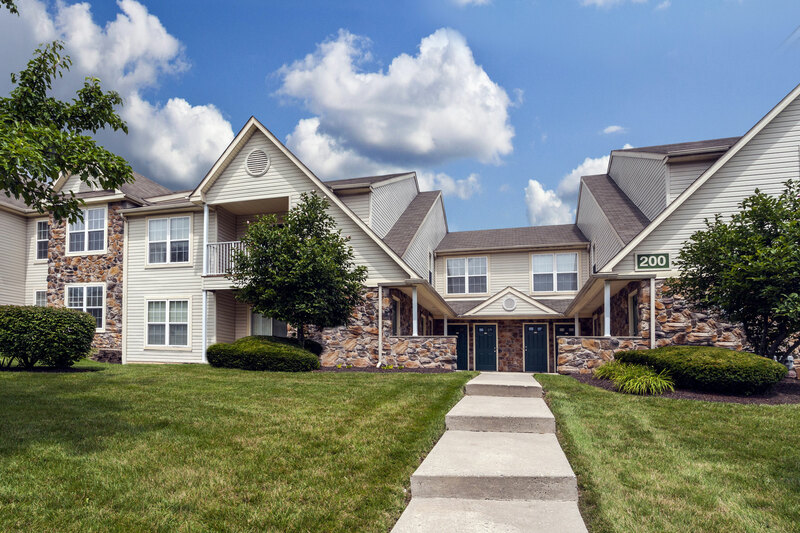 Situated on 43 acres of beautiful Pennsylvania countryside, Walnut Crossing offers a range of spacious apartments in Royersford, PA, located just northwest of Collegeville. Minutes away from the Pennsylvania Turnpike, Schuylkill Expressway, and Route 422, our 1-, 2-, and 3-bedroom apartments provide easy access to the City of Brotherly Love and the unique communities that surround it. Walnut Crossing is located near world-class shopping venues, such as The King of Prussia Mall — the second largest mall in the United States — Providence Town Center and Philadelphia Premium Outlets featuring stores like Adidas, Vera Bradley, Calvin Klein, Ann Taylor, Brooks Brothers, and many more. In addition to its proximity to top retail and dining locations, our award-winning apartments near the King of Prussia Mall, are located near the serene, historical landscape of Valley Forge National Park, which served as the winter encampment during 1777-1778 for the Continental Army. Boasting more than 3,500 acres of parkland, Valley Forge aims to educate future generations of its importance and engage the public with the natural wonder within its boundaries. Walnut Crossing is also situated approximately 15 minutes away from the small borough of Phoenixville, once known for its extensive manufacturing of iron and steel works. Though the remnants of the area’s industrial heyday have faded, Phoenixville is home to numerous events, a Farmer’s Market, seasonal food festivals, and — it’s most popular claim to fame — Blobfest. The quirky arts festival is named after the 1958 science fiction-horror movie, The Blob, which starred Steve McQueen and Aneta Corsaut. Blobfest commemorates the iconic scene of theater patrons running from the monster out of the borough’s historic Colonial Theatre, where the movie was filmed. Call us to learn more about attractions near our apartments near the Philadelphia Premium Outlets, and schedule a tour today!